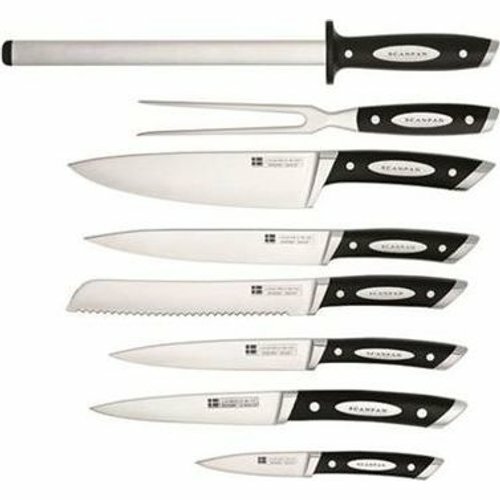 Each knife is crafted from the finest grade German stainless steel. The blade is expertly ground, honed and tested. The angle is exact, uniform from bolster to tip and the curve flawlessly tapered. All blades of SCANPAN Classic Knives are Rockwell® tested to ensure that the knife if tempered and hardened to perfection. With their slip resistant ergonomic handles, SCANPAN Classic Knives provide a grip of comfort, security, and control. These knives will give you exceptional results every time. Maintenance and Care: SCANPAN Fully Forged Classic Knives will last a lifetime if afforded proper care. 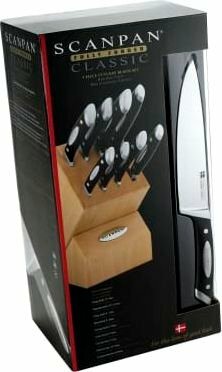 • To avoid accidental injury and blade damage, treat knives with respect and always handle with due care. • Cutting on a soft, non abrasive surface such as a timber or plastic cutting board will help prevent premature dulling of the blade. 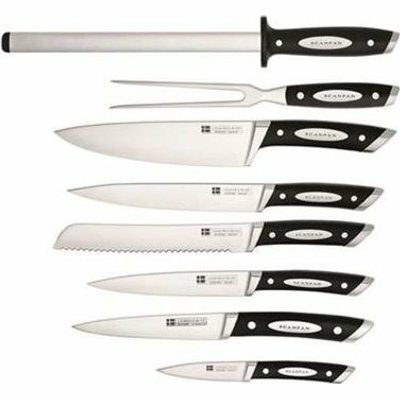 • Regular use of a SCANPAN Classic Diamond Sharpening Steel will ensure that your knives retain their keen razor sharp edge. • All SCANPAN Fully Forged Classic knives are dishwasher safe however due to the harsh nature of the machine cleansing process, we recommend that you hand wash your knife and dry it with a towel. 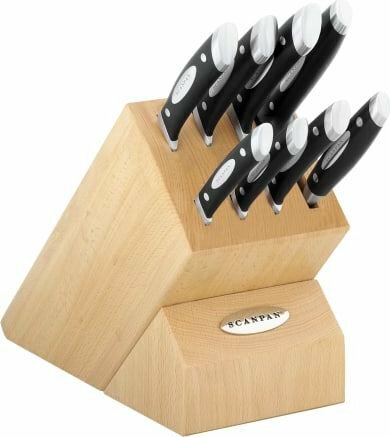 • Use a storage block to house your knives and protect the blades. Never store cutlery pieces loose in a drawer.